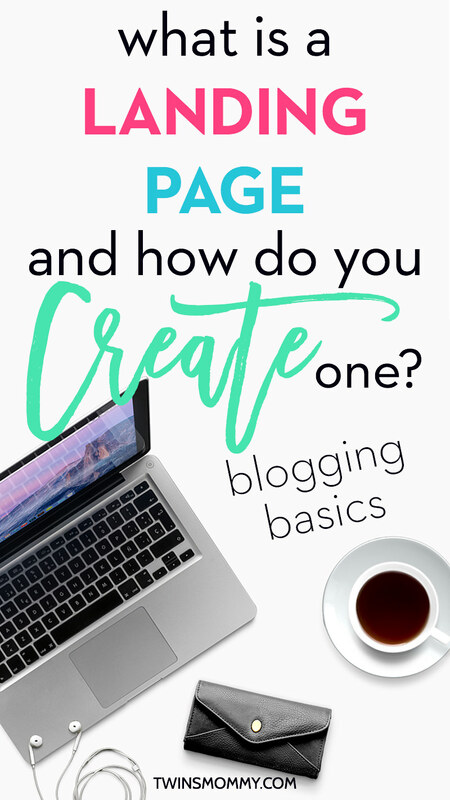 Blogging Basics: What is a Landing Page and How Do You Create One? Have you been hearing about what landing pages are lately? As a new blogger, there are so many new terms and tools that it can be overwhelming for sure! That’s why I created this Blogging Basics series! 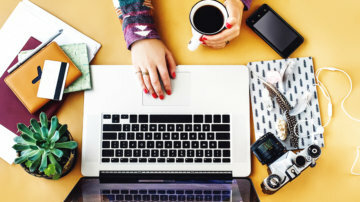 It sort of breaks down how to get going as a new blogger. And for many newbies, you’ll be hearing a lot about landing pages and how you should have one if you want to grow your email list or income. Let me just say that I don’t use a lot of landing pages. Instead, I use dedicated pages on my site to help me grow my email list. I’ll go into the differences between a page and a landing page for a moment. If you’re new to all of this and want to start a blog, I made a real easy step-by-step tutorial on how to start a profitable blog. So, what is a landing page and why should you have one? In the simplest terms, a landing page is a place a user ends up after clicking on a link on social media, in your email or on an ad. It can also be your website’s home page. A landing page has only one purpose and one message. For example, Meera Kothand’s Facebook page has a sign-up button. When you click on her sign up button, you are taken to a landing page. 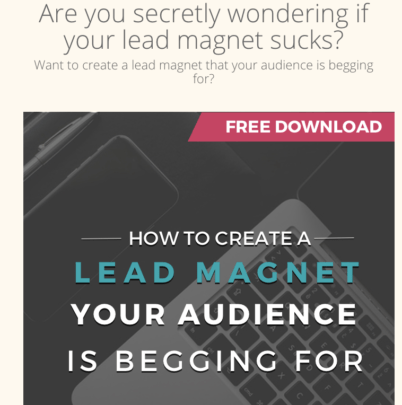 It’s a free download of how to create a lead magnet that everyone is dying for. This landing page has only one purpose: to get more email subscribers. And Meera’s only message is for people to download her free guide. By having only one focus, you can convert more people to be subscribers or buyers. But, what do I mean by one purpose? If you notice, Twins Mommy has only a few landing pages. Typically, I am just using pages on my WordPress site to promote my lead magnets (or freebies). These pages have a menu, but I treat them as a little blog post where I talk about the free guide or how it can help you if you downloaded it. By creating a page, I can create a pin just for my lead magnet. A transition to using a landing page is using a scroll mat or welcome mat. These are the mats that slide down when you land on someone’s blog. For example, this is a welcome mat on Francesca’s blog, From Pennies to Pounds. The main purpose is to generate more subscribers. If you don’t sign up, you just click on the down arrow, and it will move down to the blog. Personally, I’m not a fan of welcome mats that display on all pages and show itself to me if I visit the same blog multiple times in a week. But, they can be a powerful tool to generating more subscribers if you have the right call-to-cation (message or question). Another way to display your landing page is as an exit strategy. For example, Brianna of Momma Works Too doesn’t show her landing page until later when you are about to leave or after a set time you are on her blog. I like this approach better as it’s not as intrusive as a scroll mat. 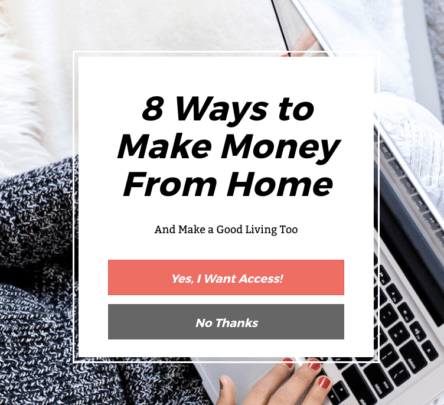 Can you use your home page as a landing page? Sure, you can. A lot of bloggers do this and typically give you two options: to sign up to their list or visit their blog. Landing pages are quite effective since they only give a reader one (maybe two) choices. The less choice someone has, the greater likelihood they will choose. As I mentioned earlier, it’s a great way to generate more email subscribers. I would recommend a landing page if you are intending to release a product in the future (or have one right now) and need to grow your email list. If you aren’t sure about an email list, having a large list (or any list size) will generate more sales of your product since the conversion rate for emails can be as high as 3%. This means that landing pages can help you generate more money. That’s a shortened version, but a sales funnel has those topics to move from a reader to a buyer. The point is, to get them on your list so you can share your great tips and introduce them to your amazing product. Finally, a landing page can help you refine your brand message. If you started a blog and had no goals or plans, then a landing page isn’t for you. But, if you want more subscribers, you can use a landing page to brand yourself in a way by what you are offering. This means niching down and creating lead magnets (freebies) that align with your niche and speak to your audience. I’ve created freebies that haven’t aligned with my core audience, so it’s a hit and miss with your lead magnets. Just keep trying new guides, resources, checklists, etc.. and seeing what resonates with your audience. There are tools and services that can help you create a landing page, but what I’ve found to be the easiest is using ConvertKit. 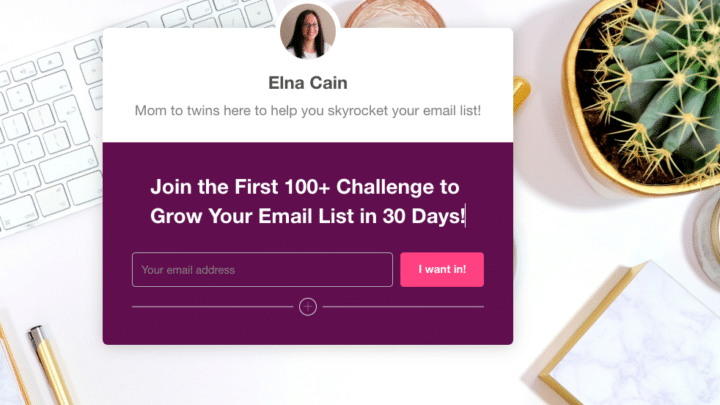 ConvertKit is an email service provider that allows you to grow your email list. They also provide opt-in forms so that readers can give you their email address and you can give them your free guide. One form is a landing page. 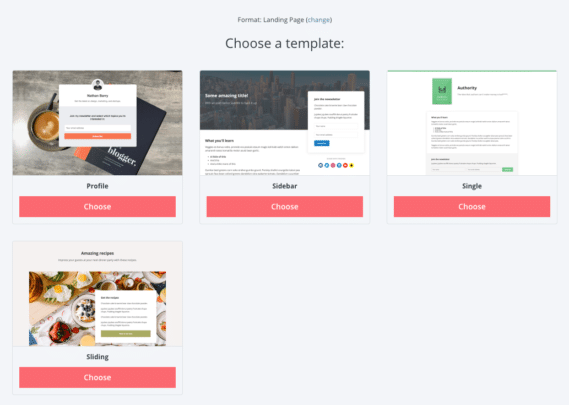 ConvertKit walks you through setting up your landing page by first picking a template. It doesn’t matter which one you pick, as long as you like the look and it fits your blog and brand. After you choose one, you can customize the heading, image, and color of the button and background color. Here is an example of what a landing page using ConvertKit might look like after you customize it. Once you have it looking like the way you want, next you have to set up the backend of naming your lead magnet and deciding if you want double-optin or single. Double means readers will receive an email to confirm their address and be placed on your email list. They will then receive another email to download the freebie. Single means once they put sign up, they immediately receive the freebie. Double-optin helps fight off any spammers that might go on your list or those that just want the freebie and don’t want to follow you. So, it’s up to you! From there you can either host your landing page on ConvertKit – they will give you a URL that you can link to in your blog posts – or you can grab their free plugin and host it on your blog. Once installed, go to the plugin Settings and grab the API key and API secret (just click and find the code and copy and paste). When you do that, WordPress will generate all the email optin forms you created. What Is a Landing Page Answered! Landing pages 101 for the new blogger! 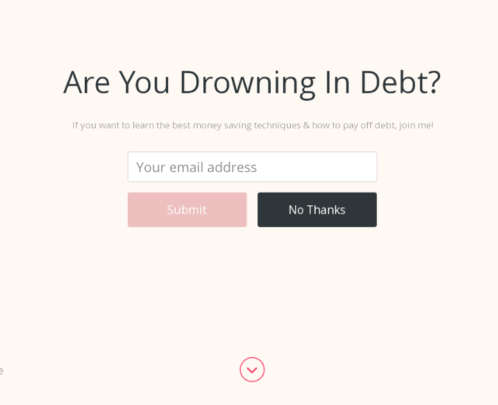 Landing pages aren’t that hard to use or scary to use! It’s a great way to start growing your email list, and I sure have to get on that bandwagon soon! Let me know if you use landing pages and why you use them! I am working with a landing page ATM but it looks so boring that I fear it will not get me many subscribers. What i prefer is what you have below your header. Can you explain how to go about it please ? I have only this left to do before launching my blog. I find your blog an amazing help. Thank you also for the Blogging Basics Series. The head opt-in form is customized to my theme. My husband developed it. For me, in the beginning, I grew my email list with content upgrades. Those are with-in post freebies! Thanks for your article, great read, but here’s my confusion: I’m currently starting my own online market. It requires contacts to sign up for a service, and the service will be delivered by email. My question is, what do I need. Website? Landing Page? Email Marketing Page? All 3 ?.. I’m actually really confused and hope you may be able to shed some light. The business is not at all complicated, but the set up certainly is. I’m actually going crazy by it all!! Would so appreciate your input. You can use a landing page to promote your online market if you want. It’s up to you. You can use opt-in forms on your site too! The more the better! It is great how you explained the importance of having only ONE purpose on a landing page and be focused only on the next step you want your customer to make. Therefore, there’s no place for social sharing buttons, other links or anything else that could distract the customers from the main purpose of the landing page. 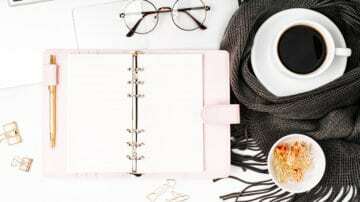 Elna- I’m so glad I found your post because for the last 3 months (the duration of my blog so far) I swear I come across a new term everyday and today’s term of the day was “landing pages” which I wrote down in my little note pad to look up the meaning of later. Then, as if you were this little angel sent here to answer all of my questions (for the 100th time), I found this article. I don’t have a landing page yet either but I have to say that I’m a little intimidated to really get into the email list side of things because, 1st of all, I have not the slightest idea what I would do for a lead magnet & 2nd of all, what I would even email about! More thoughts to go into the notebook for later, I suppose. Either way, thank you for shedding more light on the purpose & importance of landing pages! Thanks so much for this wonderful comment! I’m so happy you are doing your learning! Yes, blogging is a huge learning curve. I had to learn too! Landing page are great marketing tools but you don’t have to have them. I don’t and I’m doing good. I might do better with landing pages and it’s something I’m interested in doing in the future! Thank you! I would love some feedback on my blog. I created a landing page. I hope I did it right! Give me the link and I’ll take a look. And Sarah Titus, very successful pro-blogger, said it was great, shared it on Twitter, followed me, and invited me to collaborate on a Pinterest board! She agreed to do an interview!! Do you have any guidance on how to conduct the interview? I’m researching her background and blogging tips. I want to ask intelligent questions and do a GREAT job with this. Thanks in advance! That’s fantastic news! 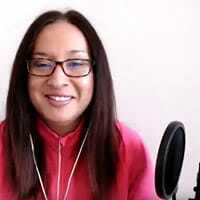 As for questions, just ask what you want to know from her 🙂 Look at my roundups of freelancers or lady bosses to see the types of things those ladies answered about…like how they got started, what they’re doing now and their plans for the future. Hi Elna, I also like the idea of using the landing page as Brianna do from “Momma Works Too”. As I guess this helps us to get genuine readers of our blog since it waits for a certain time to pop-up the call to action. Thanks for sharing such a helpful piece with us. I know right? I like that idea too! This was very helpful. It will definitely come in handy for learning how to make landing pages. Thanks for sharing this with us! I use one landing page on my blog, and I use it to promote my freebie. Like you, I haven’t gotten too much into landing pages. I know a lot of bloggers use LeadPages, I chose to use Thrive Content Builder. I love it, it’s so easy to use and you can create one in about 30 minutes. It does have a little bit of a learning curve, but then so does everything else. I’ve heard so many people talking about ConvertKit. I may have to check that one out soon because it seems to have so many cool features. Yes, Thrive is awesome. I used it for my other site. But, ConvertKit is so much easier! I love it. I’ll have to experiment soon with landing pages. For now, the pages on my blog do drive up email sign ups so I’m happy! So happy you’re going to monetize your blog! Yes, landing pages are essential for that! This is so helpful!! I never really paid too much attention to a landing page. This gave me so many ideas and I love that you walked us through the steps too! Thanks so much. Glad you have the information to make some landing pages. I really need to make some now eh? Ha…. Super helpful! I am a new blogger and I had all these questions! Thanks for making things plain and simple! Wow! Never heard this explained so well before thanks!